You will be in love with how cute these DockATot deluxe, + and Grand covers are! Little Moose By Liza designed a 100% cotton, very user friendly and washable cover. It has a handle on the side for ease of carrying around. It has a large tie at the bottom to adjust the bottom of the cover, that can be tied in a bow or knot for extra style. An envelope style closure on the back of the cover makes it easy to slide the bottom pad in as well as any type of waterproof mat you might want to use for protection. There is a zipper 3/4 of the way around the tube so that you can remove the cover for easy washing. 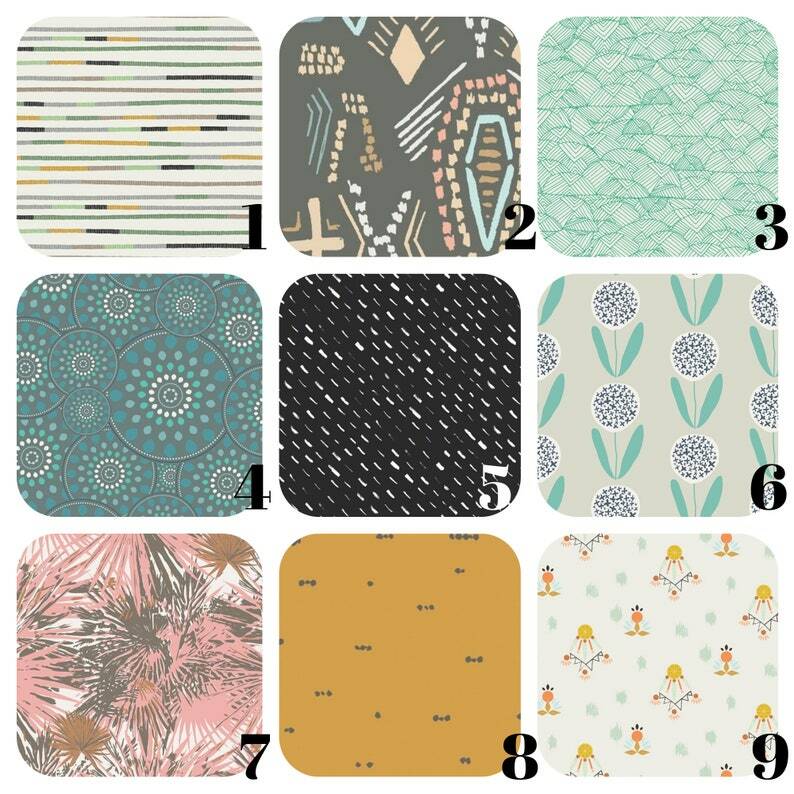 Not to mention these fabrics are oh-so-soft against your baby's sweet skin! The Deluxe Cover fits the Deluxe and Deluxe + forms from DockaTot, the only difference is the Deluxe + Covers have loops for the toy bar they sell. If you would like to add loops onto your cover, please message me and it will be an additional $10. The grand covers, have a solid color on the bed portion of the cover, and the pattern on the tube. If you have a preference of a solid color you would like to use please notate that on your order. You can choose fabrics from any of our fabric listings, including our organic section, the pricing may change with your fabric choice. Message me for a custom listing. We offer: A variety of sheet sizes to fit your crib, play yard or bassinet. We specialize in custom sizing for unique bassinets, vintage cradles, round cribs, oval cribs, and standard cribs etc. We make halo bassinet sheets, guava lotus sheets, arms reach sheets, stokke mini sheets and bedding, leander cradle sheets and bedding, heirloom cradles sheets and bedding, joovy sheets, uppababy vista, 4moms breeze bassinet and play yard sheets, baby bjorn cradle and travel lite sheets, moses basket sheets and any other size bassinet or cradle. As well as bedding for the mini crib, stokke system, and standard crib. Don't see an option for your bed? Just message us and we will make a custom listing for you! We offer many different products including minky blankets, changing covers, crib bedding sets, boppy covers and much more in other listings message me if you have trouble finding them. See sizing and descriptions below. Please read entire listing for a full understanding of our product. I was excited to order this but once it came in person I can’t believe how beautiful and what quality material it truly is! Soft, soooo well made, my husband commented how easy it was to put on the doc compared to the standard one. My son slept so comfortabley on it the first night! 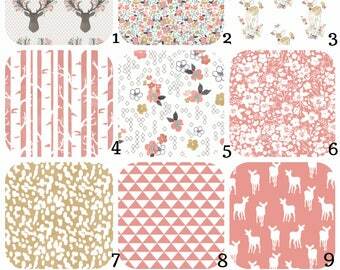 Definitely may order more in different patterns! Top notch buy for my little guy! So well made! Love the fabric choices. Definitely recommend. Thank you!